I remember a young man with whom I went to school. It was the 1980s. While most of us were accenting our permed mullets with parachute pants and Forenza sweaters as we carried our Jansport backpacks to class, this well cropped young man was wearing a three piece suit and carrying his Samsonite briefcase. He was a firebrand. Always speaking from a well entrenched position of know-it-all-ness, he seemed to have assumed the role of God’s attorney. His truth was God’s truth and he was ready to make his case whether you wanted to hear it or not. I thought of my classmate this morning as I read the treatise of Job’s third friend, Zophar, who finally speaks up. He’s heard Eliphaz and Bildad have a go at Job, and he’s heard Job’s responses. Zo’s soliloquy starts off like a boiling pot blowing its top. Zo seems to feel the need to defend God from Job’s word. Like my friend from school, he takes on the role of God’s attorney, speaking on behalf of the Almighty. What I find most interesting in Zophar’s message is that he is at once chastising Job for assuming he knows the mind of God and making the same assumptions about Job. Like his other two amigos, Zo speaks from an assumptive position of knowing beyond a shadow of a doubt that Job has done something sinful to deserve God’s wrath and punishment. I have to be honest. When I ponder Job’s friends, I not only think of my briefcase toting friend, but I also see shades of myself 30 years ago. The further I get in my own personal life journey the less passionate I feel about defending God with my words and the more passionate I feel about simply representing Him with my loving actions. Zophar asks Job if he thinks he can fathom the mysteries of God, and I am increasingly comfortable with the fact that I cannot. This morning, I’m thinking about what I would do or say if I were one of Job’s friends, sitting with my buddy on the ash heap. The truth is, I’m not sure I would try to make sense of it. I would tell Job I love him. I’d admit that I don’t get it either, and I would apologize that I don’t have any answers. Then, I’d ask if there’s anything I can get him to ease his suffering. A cup of cold water, perhaps. 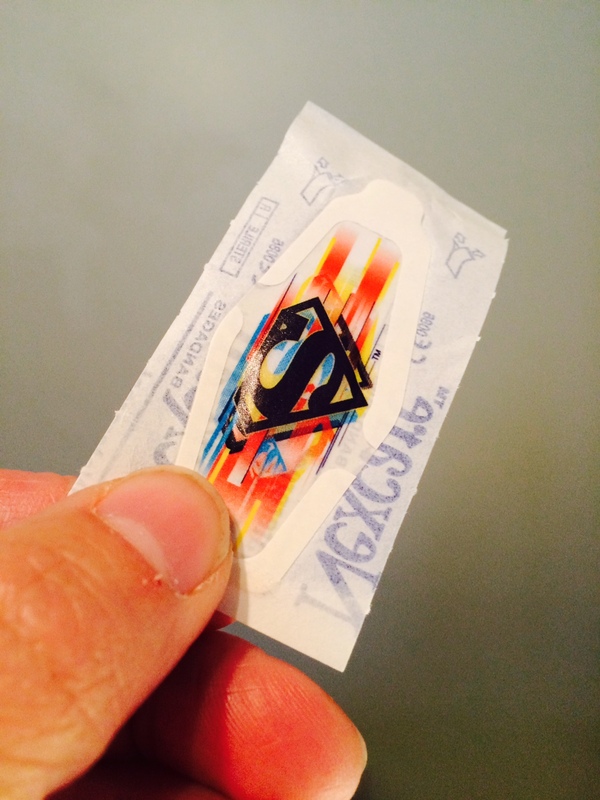 Some Superman Band-Aids for those sores? Maybe telling a bad joke or two in an effort to coax a smile. It still falls short of meeting the depth of Job’s need, but I feel like it comes closer than what I’ve seen from Eliphaz, Bildad, and Zophar. Nailed it. Job is a book about our addiction to being right and making life a easily solved mathematical equation. There are sure things in life, there is concrete truth, but not as much as we wish there was. When we don’t know the answer, when there is no clear reason, love never fails.